It must be a hard life when you’re so out of control of your anger and mind that you blindly blame all your problem on immigrants. This guy was lashing out at immigrants on Facebook, letting go of his frustrations on the them instead of societal institutions when his mum went and burst his little bubble. 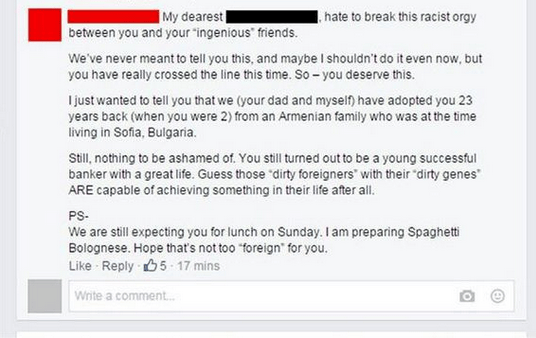 His friends were all rubbing his racist ego with likes and comments and then his mum responded in the perfect way, shutting him down for good. 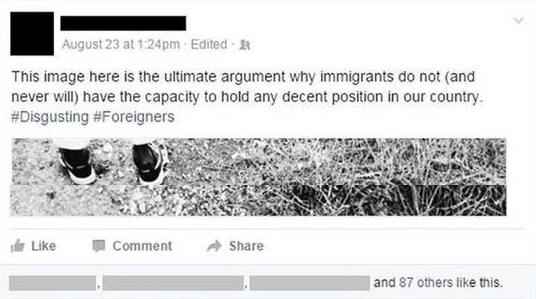 In response to his post, a friend wrote ‘UR [sic] right! Never will – and never should !!! Good thing you don’t have any of these at our office’. 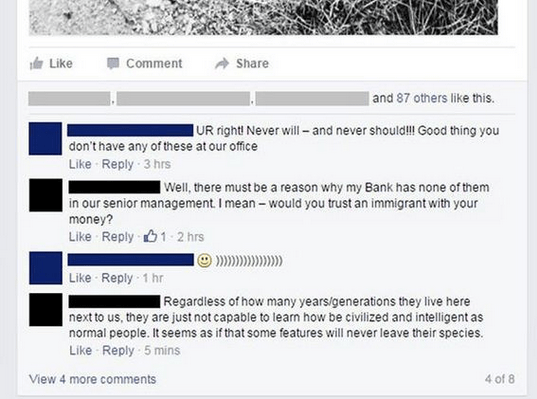 To which he replied, ‘Well, there must be a reason why my Bank has none of them in our senior management, I mean – would you trust an immigrant with your money’. The disgusting xenophobia continued, leaving the mob pretty pleased with themselves, having agreed to incite hatred on ‘foreigners’, saying they are not ‘capable to learn how to be civilized and intelligent as normal people’ – what a fantastic grasp of the English language these guys have. I just wanted to tell you that we (your dad and myself) have adopted you 23 years back (when you were 2) from an Armenian family who was at the time living in Sofia, Bulgaria. Still, nothing to be ashamed of. 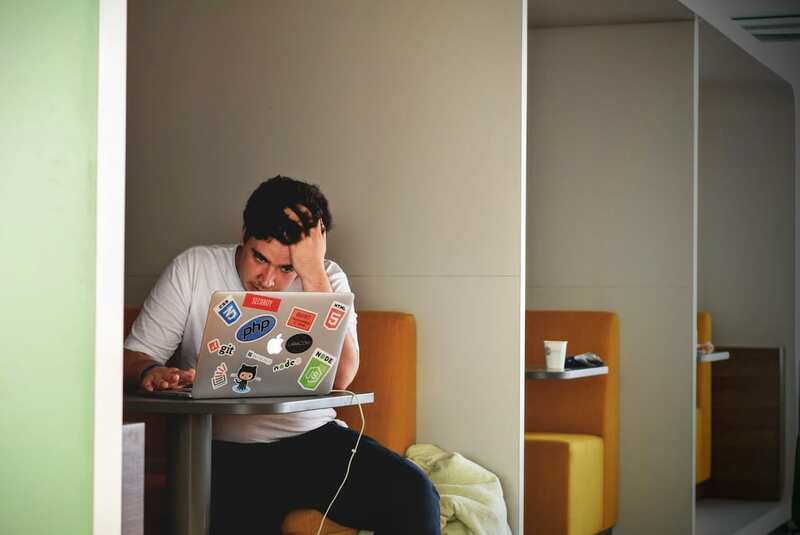 You still turned out to be a young successful banker with a great life. Guess those “dirty foreigners” with their “dirty genes” ARE capable of achieving something in their life after all. PS- We are still expecting you for lunch on Sunday. I am preparing Spaghetti Bolognese. Hope that’s not too “foreign” for you. Obviously her revelation could lead to his own self-loathing but hopefully it served as an education instead. I would love to be a fly on the wall at that Sunday dinner.